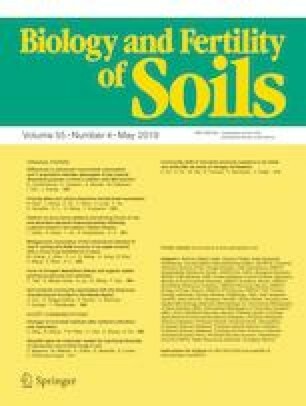 Among the ecological services provided by arbuscular mycorrhizal fungi (AMF), the process of soil aggregation is hypothesized to be partially mediated by glomalin, an alkaline-soluble glycoprotein released by AM fungi into soil during hyphal turnover and after the death of the fungus in the soil. The protein is characterized by abundant production and hydrophobic properties. Although glomalin has been identified in Rhizophagus irregularis DAOM 197198 as a putative homolog of heat shock protein 60, the use of expressed fungal genes encoding glomalin as a marker for functional AMF diversity was never exploited. The present work describes the first attempt to identify the glomalin gene in several AMF species, verify its reliability as gene marker for the identification and discrimination of AMF, and test the possibility to detect its expression in soil. We designed a specific PCR primers set able to amplify many known lineages of AMF glomalin gene. We demonstrated its applicability to create a new reference glomalin sequence dataset for comparative sequence analysis. The designed primer set was successfully used to amplify glomalin transcript from soil cDNA template. The online version of this article ( https://doi.org/10.1007/s00374-019-01354-x) contains supplementary material, which is available to authorized users. FM, EL, and GW contributed to the conception and design of the study; FM, MM, EL, and KP organized the AMF spore data collection and performed the experiments. FM performed the bioinformatics analysis and wrote with EL the manuscript. ZPS supported all the scientific activities. All authors contributed to manuscript revision, read and approved the submitted version. The study was conducted as part of the InfoRevita project TANGO ID: 268600 financed by NCBiR and was supported by 1783-3/2018/FEKUTSTRAT Program awarded by MHCNR.